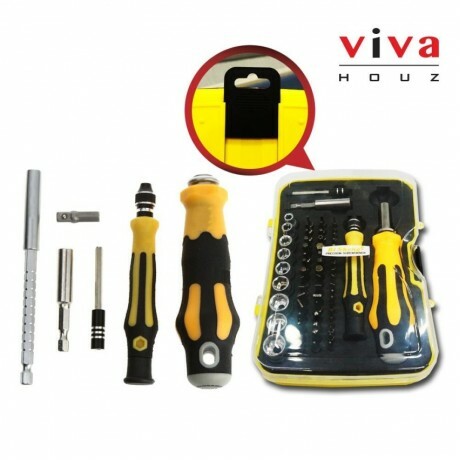 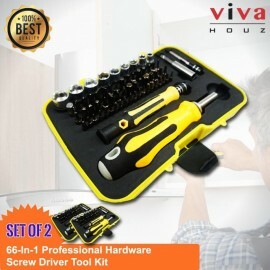 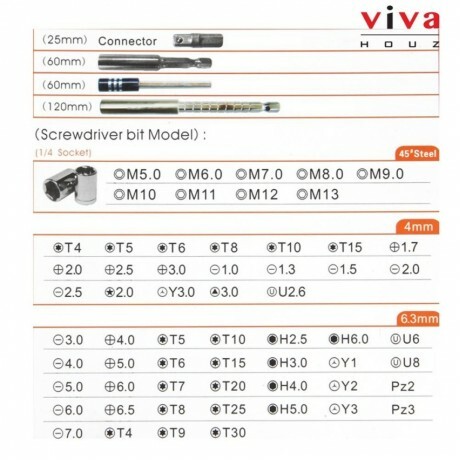 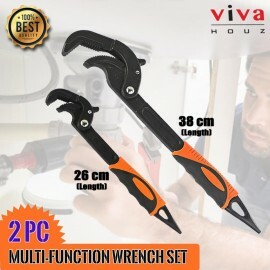 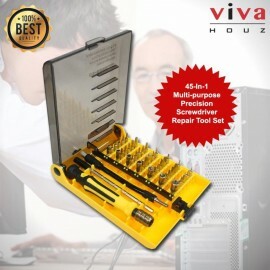 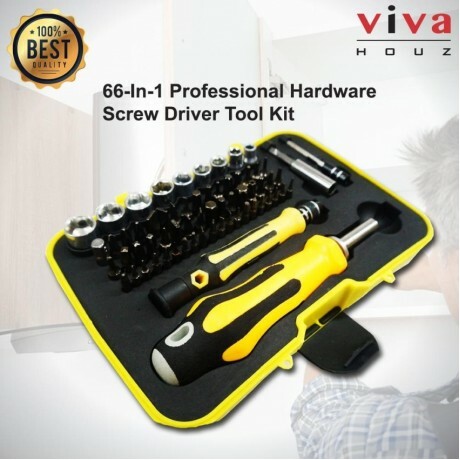 Viva Houz 66-In-1 Professional Screw Driver/Tool Set, is a professional hardware tools for precise works on maintaining computer, laptop, mobile phone, television, watches and other appliances. 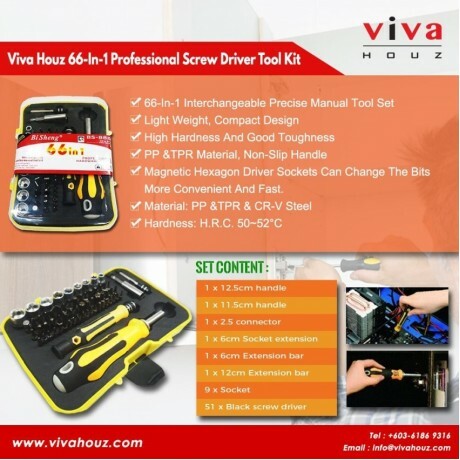 The 60 pc bit set to meet all the requirements for your repair and maintenance job. 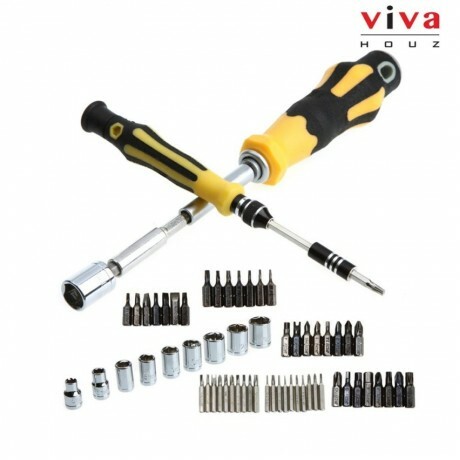 It comes with a purpose built box for easy storage of the bits and handle, light weight for mobility.